At the invitation of the Alliance of Conservatives and Reformists in Europe the delegation led by Prosperous Armenia Party Chairman Gagik Tsarukyan had a three-day working visit to the Kingdom of Belgium. In Brussels, Gagik Tsarukyan the first visited Church of St. Mary Magdalene, where he met with representatives of the Belgian Armenian community. Then the political meetings started in the European Parliament. First of all, the PAP delegation was received by Johannes Hann, Commissioner for European Neighbourhood and Enlargement Policy. 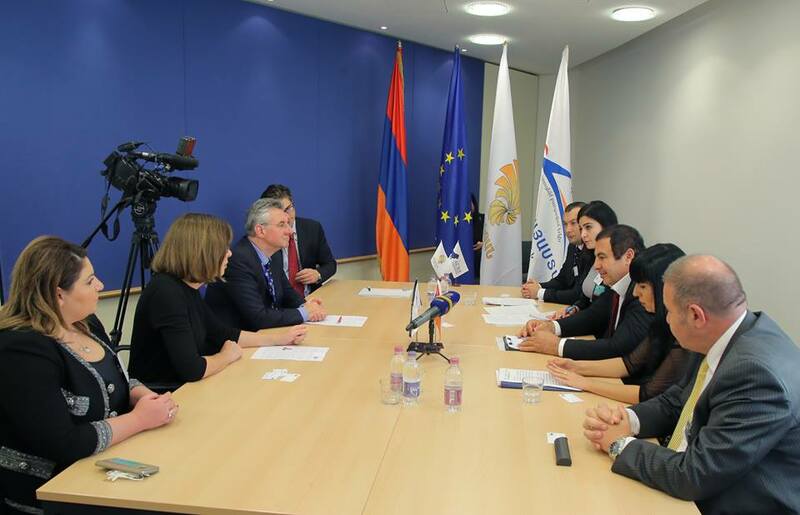 After the meeting, Gagik Tsarukyan and PAP MPs took part in the session of the European Conservatives and Reformists faction in the main hall of the European Parliament during which the PAP leader made an extensive speech. It was followed by meetings with more than a dozen high-ranking European Parliament officials.